The Wright lab is a founding member and active participant in LIGHT, a multidisciplinary program bringing together research groups from the College of Arts and Sciences, School of Engineering, and School of Medicine at Vanderbilt. LIGHT aims to develop affordable, deliverable, and easy-to-use diagnostics designed for those with the greatest disease burden. 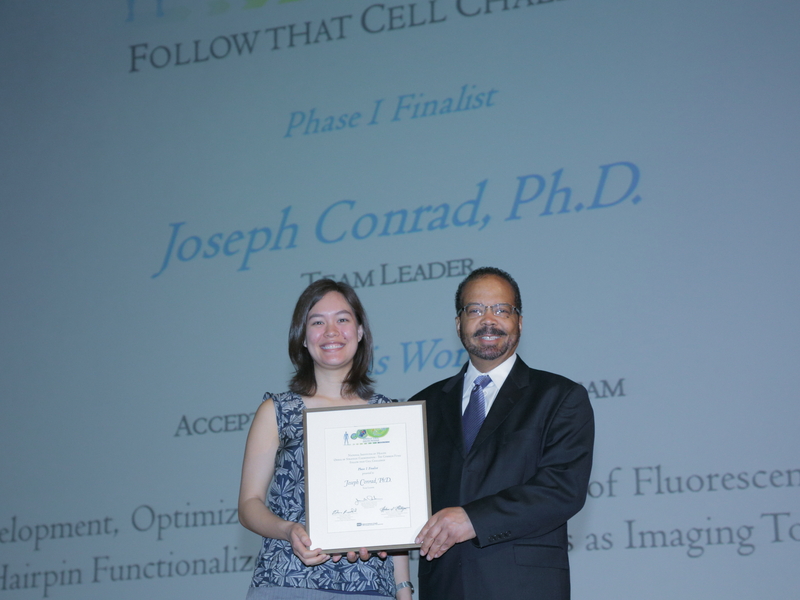 Wright lab members Alexis Wong, Joseph Conrad, and David Wright were recently selected as Phase I finalists for the Follow that Cell Challenge a part of the Single Cell Analysis Program sponsored by the National Institutes of Health. The Single Cell Analysis Program supports investigators examining the transcriptional signatures of individual human cells in order to measure and analyze cellular heterogeneity and to define specific cell types and/or cell “states” in a given population, work focused on the discovery and early development of exceptionally innovative tools for early stage, high-risk/high-impact projects to enable and improve single cell analysis, and studies that accelerate the integration and translation of technologies to characterize single cells. In collaboration with Andries Zijlstra in Vanderbilt Medical Center’s Department of Pathology, Microbiology, and Immunology, the Wright team members proposed to use fluorescent molecular probes based on gold nanoparticle technology to identify and measure gene expression in living cells. As many of you know, our lab has had a close relationship with the Gates Foundation over the past several years as we work toward designing new diagnostic tools for a better, more united world. Below is a video put out by the foundation to put global health efforts into perspective for a disease very near and dear to our hearts: Malaria. After a thrilling minute and 45 second introduction from Dr. Wright, Chris was off and effortlessly presenting his final defense of his thesis entitled "Gold as a Sensing Platform for Rapid Detection of Explosives and Malarial Biomarkers." After a 45 minute closed door session, he was our newest "doctor." Congratulations Chris! We wish you all the best! 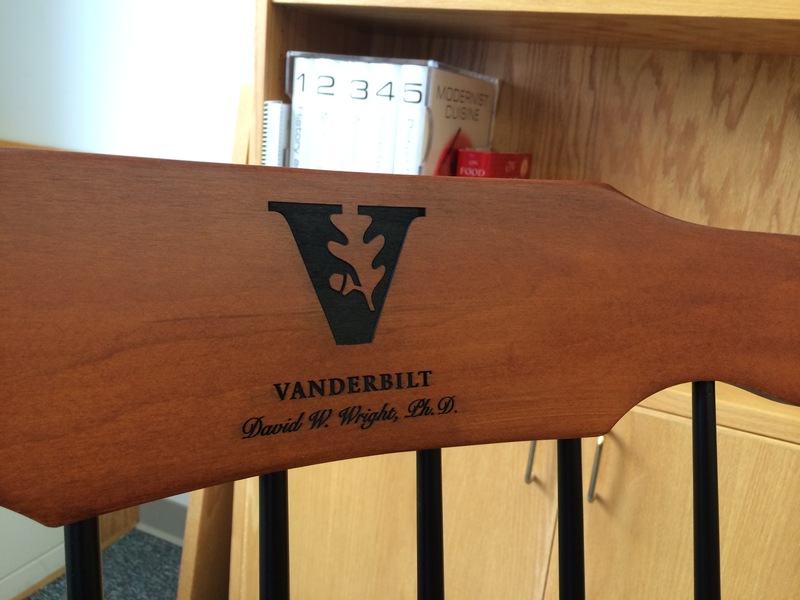 Dr. Wright was appointed as the new department chair of the Vanderbilt Chemistry Deparment, effective July 1st 2014. He will succeed Prof. Michael P. Stone, who has served as Chair of the Department of Chemistry since 2009. Here's to you and all the sage words of wisdom, new ideas and driving leadership you will bring to our department! Our very own Stephen Jackson successfullly defended his PhD Thesis titled "DNA-functionalized Gold Nanoparticles for Enhanced Molecular Sensing" on April 30th. David set the mood for the defense talk with a riveting (term used loosely) introduction that spanned many memories of Stephen both in his undergrad research as well as his time here at Vanderbilt. After the public talk and closed door session were finished, he came back to our conference room a newly minted Dr. Stephen Jackson. Congratulations Stephen! The lab wishes you all the best. Professor David W. Wright has been appointed as Stevenson Professor of Chemistry at Vanderbilt University. Prof. Wright completed his doctoral dissertation at the Massachusetts Institute of Technology under the late Prof. Orme-Johnson, where he made significant contributions toward elucidating the structure of the co-factor of the enzyme nitrogenase. Subsequently, he moved to Boston College, for his post-doctoral research with Prof. William H. Armstrong on the structure and reactivity of the oxygen-evolving complex of Photosystem II. In 2001, Prof. Wright was recruited to Vanderbilt University as Assistant Professor of Chemistry. At Vanderbilt, his work is focused on the role of heme detoxification in the malaria parasite, leading to new approaches to drug discovery and low resource point-of-care diagnostics. The other area of his research is focused on the amazing structural processing of biomaterials in nature. He is interested in why beetle shells and butterfly wings are so iridescent, how diatoms make their intricate glass houses, and how these lessons can lead to new and revolutionary materials for applications such as biomedical sensors and next generation batteries. Prof. Wright has received a number of awards, including the Young Investigator Award from the Society of Infectious Diseases, a National Science Foundation CAREER award, and in 2011 was selected by the National Academy of Sciences and the Kavli Foundation as a Kavli Fellow at the Frontiers of Science. 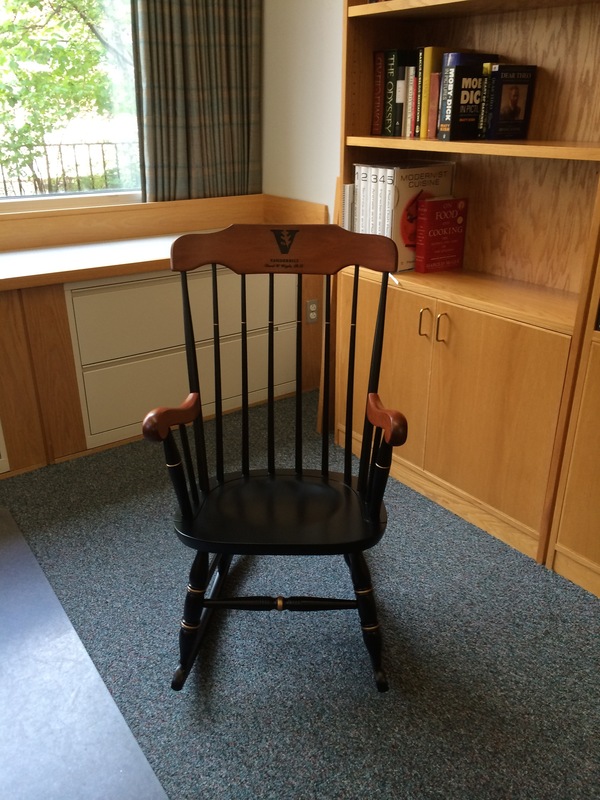 The Stevenson Chair honors Eldon Stevenson Jr. (1893-1972), a member of the Vanderbilt Board of Trust and president of National Life and Accident Insurance Co. in Nashville. Generous gifts from Stevenson helped make possible the original construction of the Vanderbilt University natural science complex in the early 1960s. There have always been ongoing jokes in the lab about how one member looks like a certain celebrity. One afternoon (after a successful day of science of course), we decided to come up with celebrity dopplegangers for the lab. The pictures were revealed at a Friday group meeting. See if you can guess who is what celebrity (using our current members pictures as a guide). Here are the answers if you really want to know! During WWII, Dr. Seuss was a captain in the U.S. Army. While we all know him for his whimsical children's stories, he put his clever techniques to use to create a pamphlet for the troops on the dangers of malaria. Germany had cut off the U.S.'s supplies to quinine, so the troops had to use alternative methods to prevent infection. 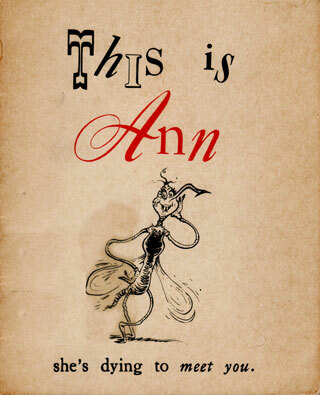 Deemed "Ann," the Anopholes mosquito is brought to cartoon life to instruct the troops on what to do to ward off malaria. Click here to read more! We are excited to welcome our new LIGHT postdoc, Dr. Tom Scherr, to the lab! Our collaboration with Rick Haselton and the BME deparment has made the news again! This time for our coffee ring diagnostic platform. Congratulations Christine Markwalter on receiving an NSF Graduate Research Fellowship award! 3 years of full support! 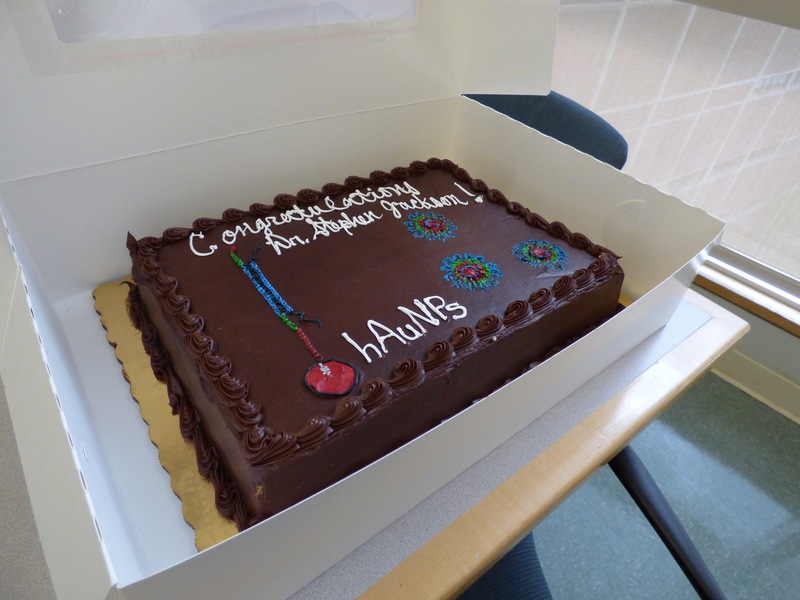 Christine makes the fourth consecutive year that a student(s) has received this award in our lab. Congratulations to Dr. Nick Adams on the successful defense of his thesis work on "Development of Simple Methods for RNA Biomarker Extraction and Detection." Copyright © 2012 David W. Wright. All rights reserved.